Republicans continued to control Congress, but the 1902 elections slightly eroded their House majority. 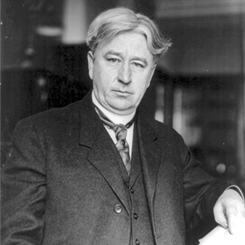 With the retirement of Iowa’s David Henderson, Joseph G. Cannon of Illinois won election as House Speaker. The 58th Congress (1903–1905) enabled the Forest Service to better protect lumber reserves. In 1904, President Theodore Roosevelt announced his “corollary” to the Monroe Doctrine. This policy meant the U.S. would act to prevent European creditor powers from invading Latin American nations at risk of defaulting on their debts. 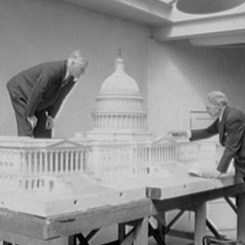 A model of the Capitol, designed to show the building with the East Front extension originally envisioned by architect Thomas U. Walter, was unveiled in the Rotunda. On this date, the second session of the 58th Congress (1903–1905) adjourned.